In a Chapter 7 or Chapter 13 bankruptcy, you petition a federal court for an automatic stay of collection actions, including lawsuits, collection calls, garnishments and levies. The Chapter 7 bankruptcy brings about a discharge -- that is, a cancellation -- of all your debts that can legally be discharged. You surrender non-exempt assets to a trustee, who then sells those assets to satisfy your creditors. In a Chapter 13 bankruptcy, you set up a repayment plan to your creditors; most last between three and five years. If you manage to keep up with the payments as scheduled, the case results in the full discharge of any remaining dischargeable debts. Under bankruptcy law, any asset that was due to you prior to a Chapter 7 bankruptcy filing is non-exempt property. This would likely include any tax refund due from a prior year's tax return; as a result, the trustee may seize your tax refund and use it to repay your creditors. However, Illinois law allows you to claim certain exemptions, including a "wildcard" exemption of any personal property up to $4,000 in value, including tax refunds. In addition, state law also exempts any public assistance benefits. Although the law does not specifically exempt tax refunds, you may exempt refunds that are the result of the IRS earned income credit -- Illinois bankruptcy courts have found that the EIC is a public assistance benefit. In a Chapter 13 bankruptcy, petitioners must provide information about tax refunds to the court trustee appointed to handle the repayment plan and oversee the bankruptcy case. By federal law, you must provide a copy of your most recent tax return as well as any tax returns you file while the case remains open. 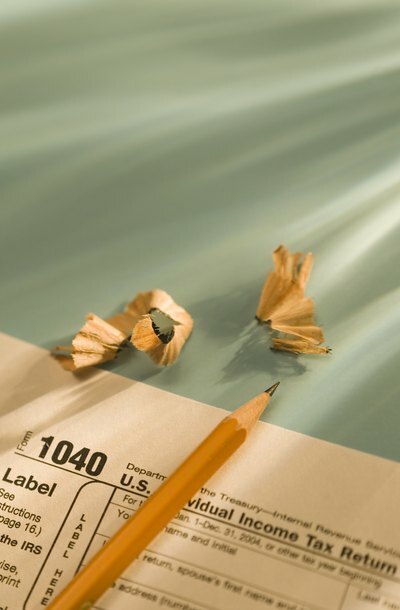 These returns will show any refunds that are due from the IRS. If you have entered into a partial Chapter 13 repayment plan, the trustee may seize your tax refund to repay creditors. However, if you have a repayment plan that repays 100 percent of your debt, the trustee is unlikely to seize any tax refunds. The treatment of tax refunds will be spelled out in the repayment plan confirmed by the court. If you file for bankruptcy and have back taxes owing, the IRS retains the right to freeze your refund in order to protect its right to collection. If a couple files a joint return, but only one spouse files for bankruptcy, the Illinois courts have held that the refund is the debtor's sole property, no matter who made the tax payments. This means that the refund would be subject to seizure in full.